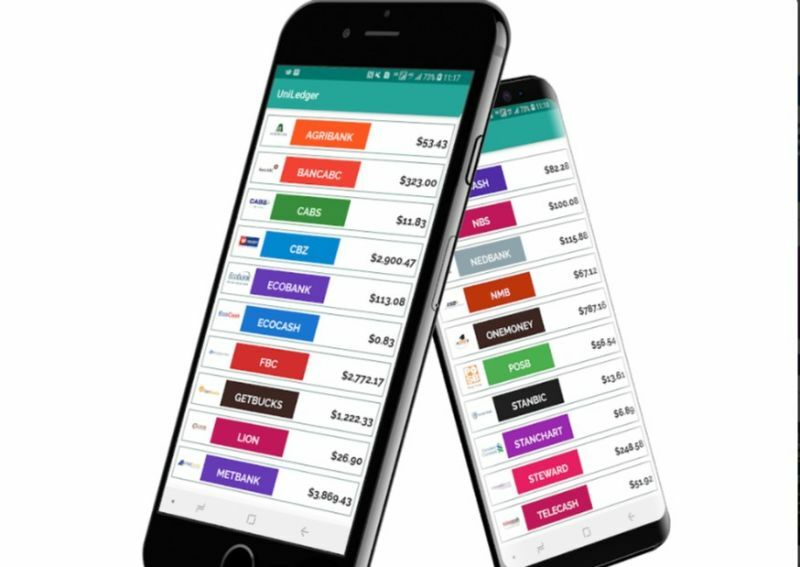 UniLedger’s claim to fame will be the fact that the app was the first “automatic budgeting app for all mobile wallets and all banks in Zimbabwe” as the app description states. Yes, that means EcoCash, OneMoney, Telecash & Getbucks, along with the 16 banks in Zim. My EcoCash was picked automatically but unfortunately, I couldn’t figure out how to actually link my Steward Bank. Though the application states that it supports all banks I couldn’t see how exactly the bank can be linked or if it’s automatic. Anyway, we’ll just go through the EcoCash experience and what that was like. The minimalist interface was very appealing to me and the fact that there’s nothing flashy or distracting was very welcome but that’s really a personal experience and someone else might feel it’s too plain. Anyway what matters most is what you can and can’t do with the application. On the mobile money side of things, you can see a list of the money that’s been sent to you by individuals and vice-versa under the EcoCash Receive and Send menus respectively. Payments you’ve made (be it bills, merchants etc) are listed separately under the Paid tab. There’s also a Wallet To Bank section. Those are the tabs accessible to you on the dashboard of your mobile wallet. Away from the dashboard, you can also keep track of your transaction history. Another handy feature in the application is the accounts feature which allows you to see all the transactions you’ve made to a certain individual/business/merchant under one tab. There’s a reports section that allows you to see a visual representation of your balance as a graph as well. I’m not entirely sure if the banking options are also activated once you’ve paid because as I mentioned before I can’t see the option to add a bank account. Overall, the application is a great companion if you’re interested in closely monitoring how you are spending your money – which you ABSOLUTELY should be. If you solely rely on EcoCash and you aready had the EcoLedger application from the same developers then you might be fine. If you’re looking to monitor both your bank account and your EcoCash from one dash then UniLedger might be the way to go once we’ve figured out how to get your bank account on board. Download UniLedger on Android, the app doesn’t seem to be available on iOS. Exactly. you are essentialy paying someone to read your text messages for you. not to mention the bigger problem, what this app does is illegal. Yup, it is law-breaking illegal. Thanks Van Lee for the heads up and we are sure you mean very well. Kindly note that we are authorized to do in-app purchases and we will be uploading another version of the APP that does in-app purchases. Unfortunately, it will mean that the majority of Zimbabweans will be sidelined since that version will require payments via either MasterCard or VISA. Our greater fight is for Google to add and enable EcoCash as a payment method on Google, like they did with M-Pesa. Being a developer yourself, we are sure you understand the need for Official Payment Channels and we hope you will join hands with us as we do everything possible to ensure that this happens soonest. Should you be interested in collaborating, do not hesitate to reach out via email at hello@mobisoft.co.zw. Take it easy my guy, it’s just an app review. Don’t take it personally.